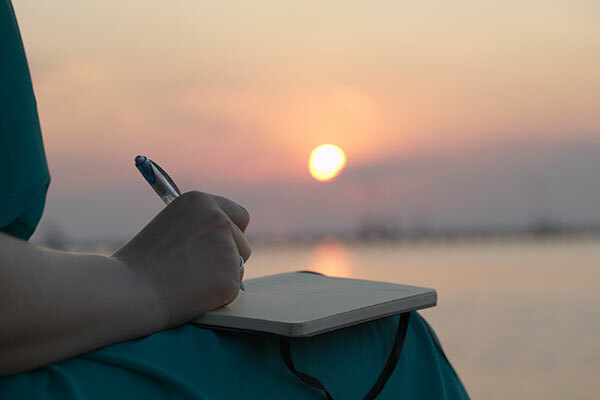 By understanding the benefits of journaling, you can finally achieve the journaling success you have heard so much about. I cannot say enough about the benefits journaling has had in my life - it has saved mine for years & still does! it has helped me express myself, helped counselor's to not only get to know me and also to challenge me. I don't write everyday-sometimes I wish I could write all day long--I do write in a notebook, I have journaled in a Word Document on my computer and when my notebook isn't available I type email messages -- no I don't send it anywhere- I just save it as a draft. Ideas shared in this article are all great ideas -- I would like to offer an additional idea, one that has proven extremely valuable to me. Letter writing. I have written countless letters to any number of people typically people I trust or people that I want to tell something to but for various reasons- can't/won't. Give it a try... would love to hear other thoughts! @TammPharm1980 I am as you can see by my post a big believer in benefits of journaling. I saw your comment and just wanted to say hi and say Good for you for trying it! Praying it will be a blessing and help to you as it is for me. I never was a good journalist, but my husband and I have been struggling in our marriage. One night I couldn’t sleep, to many thoughts. So I decided to write him a letter and came up with the plan to journal, but share it with each other. It’s been a fantastic process so far, it’s opened up conversations like we used to have. We try to be positive, and not thrash each other. But it’s working!!! !